“All things being equal, we have always put the PAP wards first”, National Development Minister Mah Bow Tan again reiterated the illogical reasoning to bring upgrading efforts to People’s Action Party (PAP) wards first, as the majority in those wards voted for the policy when they voted for the party in the General Elections. 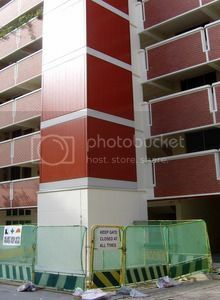 The PAP policy of giving priority to PAP constituencies in the matter of upgrading of HDB estates is an extremely divisive one, for it discriminates and denies the privileges of the tax-payer, between colleagues, friends and even family members who live in a PAP ward and the opposition ward. The reasoning employed to bring the Main Upgrading Programme (MUP), or Interim Upgrading Programme (IUP), or Lift Upgrading Programme (LUP), last to opposition held wards, if applied logically across all the policies initiated by the PAP over the years, will be disastrous. Could you imagine constituents in opposition held wards not being eligible for GST offset packages because that policy is initiated by the ruling party; or that opposition held wards will not be a part of Integrated Land Use Planning because these are policies crafted by the Ministry of the ruling party? His appeal appeals to logic because upgrading of HDB estates is done with public money, and therefore should be applied fairly and equally for ALL Singaporeans, not just those living in PAP constituencies; and it should be prioritised according to needs and not according to whether a certain area has voted for a particular political party. Mr Mah’s argument that it is the practice for the grassroots advisors to announce upgrading programmes in constituencies is archaic, if not illogical. The grassroots advisors in 82 of the 84 constituencies are elected Members of Parliament for their particular constituency. This argument makes it clear that even if grassroots organisations profess to be apolitical, they are all administratively linked to the PAP and that these are therefore para-political organisations. Opposition parties like the Workers’ Party, which has set up an educational trust to award bursaries to the needy constituents of Hougang, also carry out grassroots level work and have Constituency Committees. But these are not recognised as grassroots organisations by the ruling party and so are not eligible for state fund, which is so very essential for the development of administrative competence of any grassroots organisation. The ‘practice’ as articulated by Mr Mah can only be valid if grassroots organisations are democratised and become an independent political or even a true apolitical space. In the absence of this, the Housing and Development Board and/or the Ministry of National Development, should have released the news of upgrading in opposition held constituencies to their respective MPs as they are the only true representative of the people in their constituency.